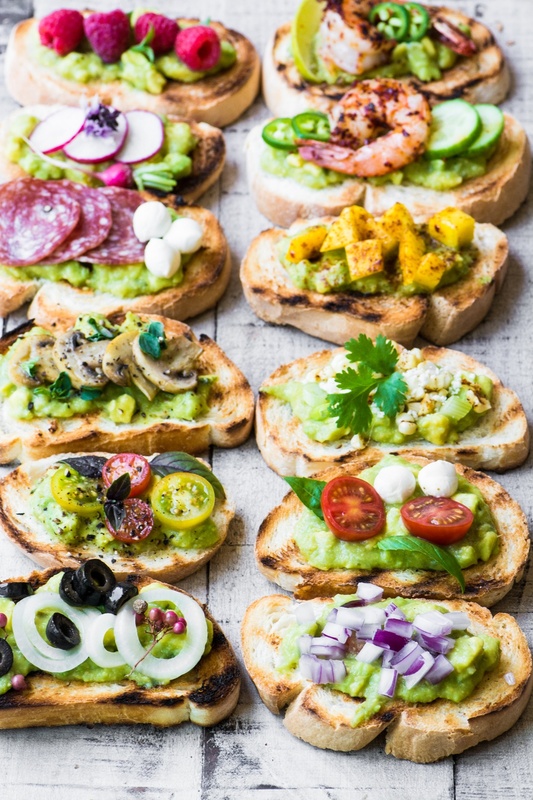 Guacamole Bruschetta Bar ~ admit it, you've always wanted to eat avocado toast for dinner, and this meal is healthy and lots of fun! Slice your bread into 1/2 inch slices. Brush lightly with oil on both sides, and grill until crisp. You can do this on a charcoal grill, or in a stove top grill pan. Rub each slice with the cut side of the garlic. Set aside. Put each of your toppings in a small bowl or plate. When you're ready to serve, arrange the bread in a basket, transfer your guacamole to a pretty bowl, and arrange all your toppings around it. I like to put out my pepper grinder and some red pepper flakes.